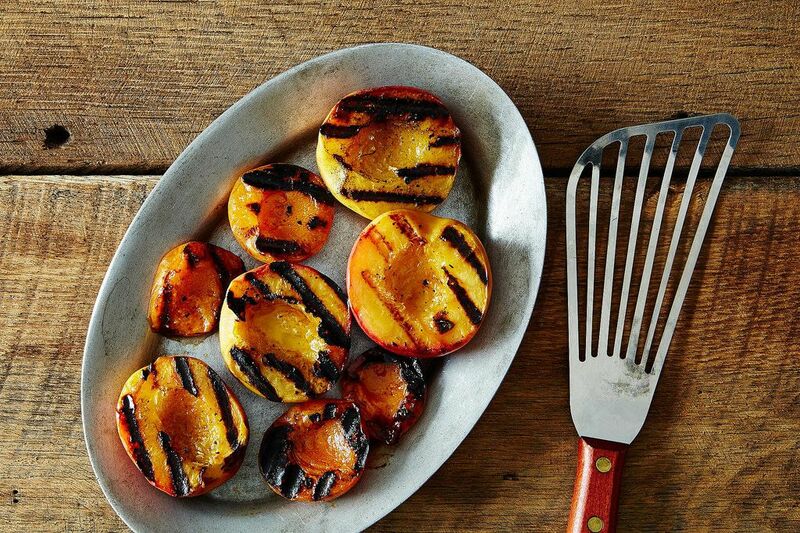 Today: A grilled peach and apricot salad brings the powers of the grill to the salad bowl -- and lights a fire inside pyro-inclined children. If there were a breakfast basket for the grill, and there may well be, our five-year-old would grill his cereal. And then he would smoke his milk. Because if there is anyone who likes grilling more than the hapless middle-aged American male, it is the American boy, for whom grilling combines all that is good in life: the chance to create fire, the proximity to real and present danger, and the char-broiled, vegetable-disguising taste of heterocyclic amines. Almost every day now he asks, with a disquieting, half-wild gleam in his eye, if we’re grilling tonight. It’s not the look of someone asking about dinner. It’s the look of someone asking permission to go on a crime spree. For better or worse, the answer is usually no. We’re not grilling tonight. Americans now grill everything this side of a condiment. Corn. Broccoli rabe. Swiss chard stems! We even grill foods that taste demonstrably worse on the grill, like watermelon. (But I am sure Mark Bittman meant well.) Grilling tools are the contemporary version of forks in the late-nineteenth century, specialized to the point of madness. 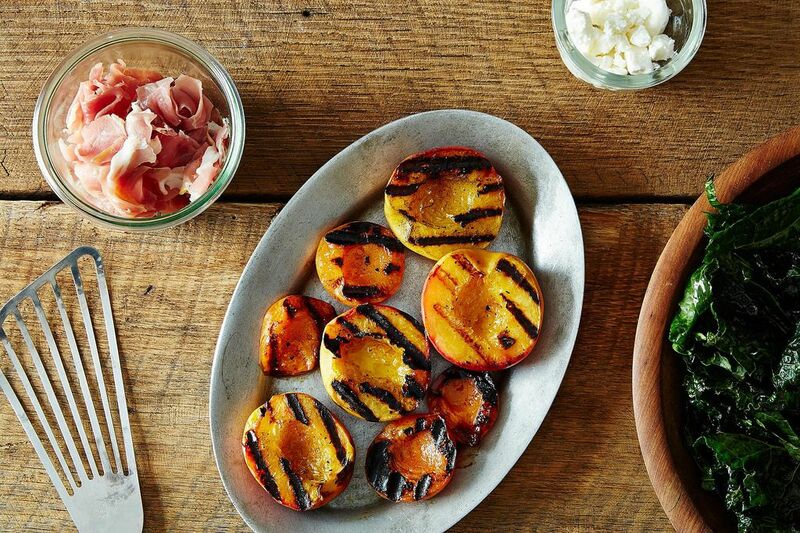 More: Make the most of the season with 20 genius recipes for the grill. All this is background noise, though. The watermelon may get grilled. But the meat is the excuse for grilling. The meat is why the grill gets lit. This is what we’re like, at least. Or at least what we’ve been like. But since my son now thinks grilling is not a way of cooking food but an activity he’s allowed to get away with, cooking meat seems like way too constricting a vision of when to light the grill. It now seems like we should start lighting the grill for everything short of ice. (Or everything including ice.) And at very least we should start lighting the grill for salads. You see what I did there? That’s why everyone hates parents. The way they can take an illicit pleasure and instantly domesticate it. Isaiah may think he’s eating grilled salad, but he’s actually eating an elaborate preamble to his teenage years, when we allow him to drink beer -- but only with us. In my defense, a grilled salad is not necessarily a wholesome salad. I am not suggesting you grill your mesclun. I am suggesting you grill salads that are as rich and unrestrained as hamburgers. In this case, that means dessert for salad. The grilled fruit after dinner is often the best part of the meal. So why not have the grilled fruit for dinner? 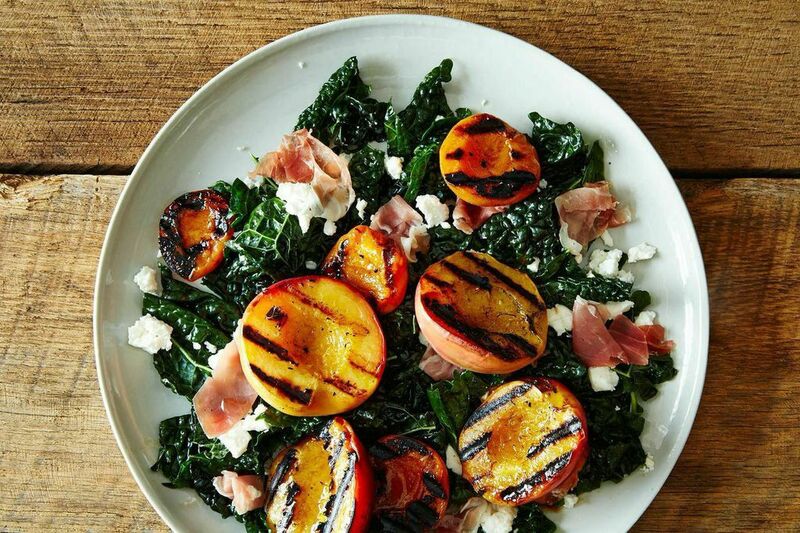 As in: some hot, juicy peaches and apricots, some cold feta and prosciutto, some salted scraps of kale. Eat with crusty bread. Have sausage, if necessary, for dessert. Came out Great! Thanks for the recipe. 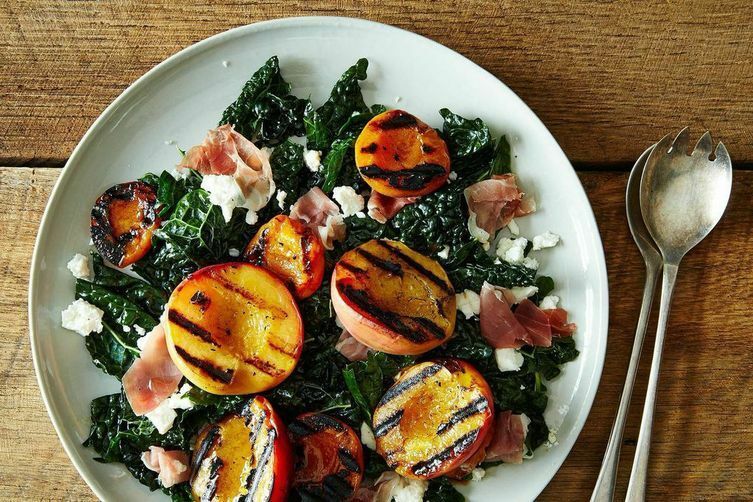 Oops, meant "By the way"
This salad sounds wonderful, love grilled peaches and everything else about it. But the way, I'm a woman and I took no offense to this article. Why is everyone so sensitive? Chill and enjoy your salad. In 2016 can we please get away from these ridiculous gender stereotypes??? Can I grill this salad if I am a woman or a girl? Please advise. I advise you not to try so hard to be offended. Seems exhausting. Not sure there's a better combo of flavors than this salad. A keeper for sure!